Just 36 one-hundredths of a second separated Bangor High School graduate Riley Masters from his second national title of the year in Sunday’s 5,000-meter men’s final at the USA Track and Field championships in Des Moines, Iowa. The former University of Maine and Oklahoma University All-American, who now runs professionally for Nike, finished fourth in the 19-runner field in 13 minutes, 30.23 seconds. Paul Chelimo of the U.S. Army won the race in 13:29.47. The race, which began more than three hours after its scheduled start time due to lightning in the area, turned into a tactical event with Masters one of a relatively small pack of runners ultimately battling for the victory. 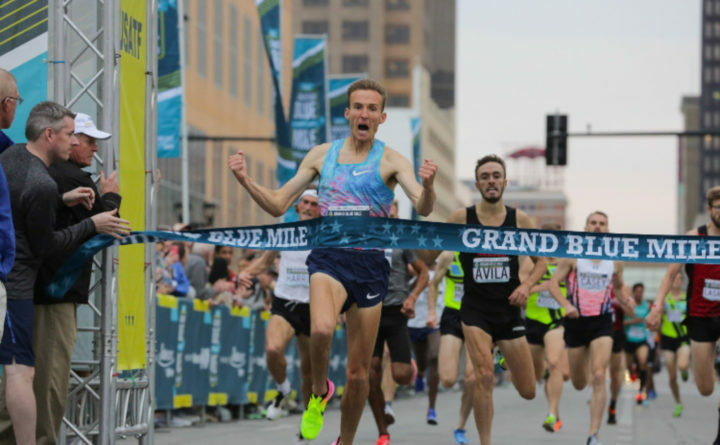 “I knew I was going to find my way to the front with about a mile to go and I felt very good,” said the 28-year-old Masters, who in April won the USATF 1-mile road race championship. “I put myself into position with about 800 meters to go and the field started dwindling from there. Chelimo used a 55-second final lap to edge runner-up Ryan Hill (13:29.67) by two-tenths of a second. Hassan Mead (13:30.12) was third, with Masters running a 56.25-second final lap to place fourth. 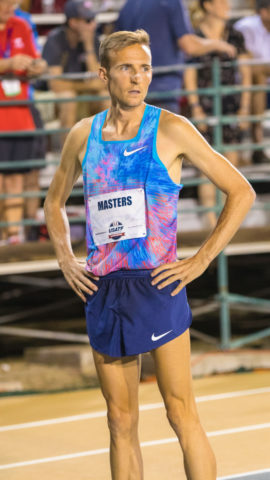 Masters plans to run at least one 5K in Europe next month before representing the United States in the NACAC (North America-Central America-Caribbean) Track & Field Championships in Toronto in mid-August.